The Mick Levin, PLC law firm in Phoenix, Arizona investigates claims of injuries resulting from the use of dietary supplements. If you or somebody you know has been injured by a dietary supplement, you should contact our lawyers who are extensively experienced in this area of the law. For a free case consultation, please use our contact form or call us toll-free (866) 707-7222 . A free consultation will be provided without obligation. 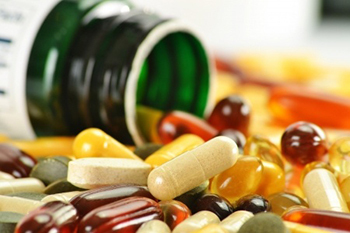 If you were injured by a dietary supplement, you are not alone. Americans spend billions of dollars each year on dietary supplements that do not require a prescription. People use these supplements for nutrition, weight-loss, body-building, sexual performance, athletic ability, and more. Unfortunately, these supplements may contain hidden pharmaceutical ingredients with dangerous side effects. Some supplements may contain dosages that are several times higher than the legal limit. These dangerous "all-natural" supplements can cause liver damage, heart problems, strokes, cancer, kidney failure, depression, or even death. The manufacturers of "nutritional supplements" and "health foods" are not regulated in the same way as the pharmaceutical market. In the U.S., pharmaceuticals are heavily regulated by the Food and Drug Administration (FDA). Before a new pharmaceutical drug can be put on the market, the manufacturer must demonstrate the drug's safety and efficacy, a process that requires at least two years of clinical trials and testing. In 1994, the FDA deregulated the Herbal Dietary Supplement industry by passing the Dietary Supplement and Health Education Act (DSHEA), which places the full responsibility of regulation, quality control, purity contamination, duty to warn, and standardization exclusively with the manufacturer. Exempt from testing and labeling requirements, unscrupulous manufacturers may bottle whatever they want without accurately informing the public of the contents, and market whatever curative claims an uninformed public might believe. In 2007, the FDA acknowledged in a Consumer Advisory that the health risk was significant enough to establish regulations that now govern the dietary supplement industry, the Current Good Manufacturing Process (CGMP). These quality control rules help ensure that herbal supplements and other health food products are manufactured free of contamination, and are intended to protect the health and safety of the American public. Even with these regulations in place, the supplement industry is under far less scrutiny than the food or drug industry. Although supplement manufacturers are technically barred from making claims that their product has health benefits, this rule is widely flaunted. Dietary supplement manufacturers sell their product without providing the FDA with even minimal data regarding the safety or effectiveness. Consumers have very little assurance of quality, safety, or effectiveness of health supplements before they buy. In fact, illegal products often enter the U.S. market through places like China. These can be available over the internet or in supplement stores. Other times, companies adulterate their products with new ingredients without providing the FDA with a New Dietary Ingredient (NDI) notification, which is supposed to include safety information. Some unscrupulous companies provide "scientific" studies that are designed in a way that skews the results to favor the safety and effectiveness of the ingredients. These flawed studies tend to lack placebo controls, have small sample sizes, are conducted over short periods of time, lack methodological soundness, involve a non-random selection of people, etc. When supplement companies present this flawed information, consumers may lack the sophistication to be wary of the results. Recently a multi-agency federal investigation resulted in a large number of criminal and civil charges being brought against more than 100 companies that either make or market supposed dietary supplements for selling products that allegedly contain ingredients other than those listed on the label, or products that make unsubstantiated health or disease-treatment claims. Using data from a national registry, researchers found that herbal and dietary supplements were implicated in 18% of liver injury cases caused or suspected of being caused by drugs or supplements from 2003 to 2011. Bodybuilding and weight loss supplements were by far the biggest offenders, linked to 34% and 26% of 93 cases studied, respectively. Other supplements caused 31% of the liver injuries. Bodybuilding supplements were linked to jaundice - exclusively in men - that can last a month or more, often leading to hospitalization. Weight loss supplements were linked to even worse damage - inflammation of the liver that in some cases could have been fatal without a liver transplant. The problem with liver transplants is that there is a high demand for healthy livers, and the waiting list can take months or years. Furthermore, the pain and suffering, medical expenses, and decreased quality of life may be significant. Several dietary supplements are known to be associated with an increased risk of liver damage, cancer, heart attacks, kidney damage, and more. Because most supplements do not undergo safety testing before they are sold in the U.S, a complete list of dangerous supplements and their side effects is not available. Our attorneys can help determine if you have grounds to file a liver damage lawsuit and explain what will be needed to win your case. If warranted, we will investigate your claim and help you gather and secure ample supporting evidence. Even if a supplement is proven to be safe when used with caution, various other factors such as dosage recommendations, or lack thereof, and risks of interactions with other supplements or drugs can cause a supplement to be found defective in a liver damage lawsuit. When considering a lawsuit, keep in mind that Arizona's statue of limitations will apply. That means you have limited time to file a claim. If you believe a dietary supplement caused your liver damage, whether due to the product being defective or having improper labeling, we urge you to discuss your options for a lawsuit as soon as possible. 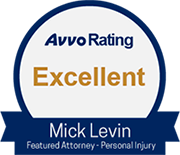 Mick Levin, PLC is currently accepting dietary supplement induced injury cases. If you or someone you know has suffered from dietary supplement induced injuries in Arizona, please call our lawyers for a free consultation and to discuss the ways in which we may be able to help you through a difficult time. Please use our contact form or call us toll-free (866) 707-7222 .